unable to install homebrew I am using this command. 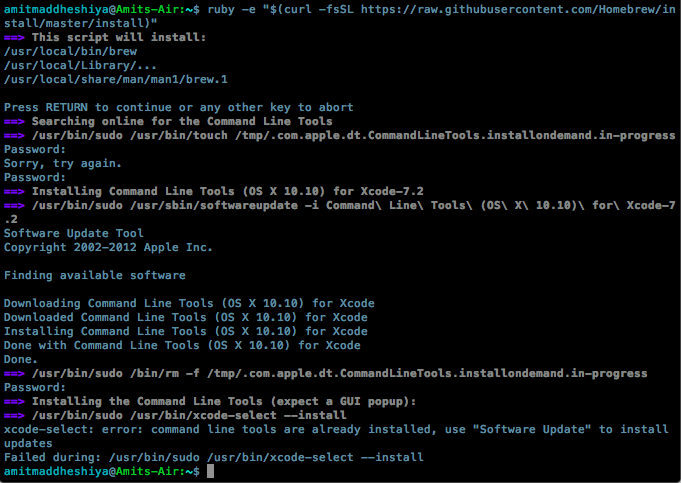 From your output, it looks like the developer tools version of git is missing. You could uninstall Xcode (delete it) and try again a manual install of just the tools homebrew needs. That should either error if you have Xcode already installed or command line tools. If you don't have the necessary tools - it will download and ask for installation. How do I install Homebrew on Tiger?